And the Green Hornet is … Seth Rogen? Seth Rogen, who was hilarious beyond all reason as Cal in The 40-Year-Old Virgin and proved himself a comedic leading man in this summer’s massively successful Knocked Up, is going to write and produce (with frequent writing/producing partner Evan Goldberg) and presumably/probably star in a big-screen adaptation of The Green Hornet — not to be confused with Green Lantern or Green Arrow from DC Comics — for Columbia Pictures. The Green Hornet began as a radio show in 1936 — two years before Superman (and three years before Batman) first flew into the pages of DC Comics. By 1940, he had a comic book of his own. Two movie serials appeared in 1940 and 1941, but the character got his widest exposure with the debut of a 1966 television series on ABC. Though it only ran one season, it bears the distinction of introducing a young martial artist named — wait for it, wait for it — Bruce Lee to American audiences. 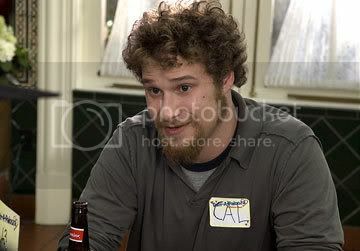 Rogen is hilarious and smart with a lot of heart, and I really think he’ll do something fun with this. And he’s not the first person to be attached to a Green Hornet movie. George Clooney and Jason Scott Lee (Dragon: The Bruce Lee Story) were attached to play the Green Hornet and Kato in the early 1990s. (The Cloon would have rocked.) Director Michel Gondry (Eternal Sunshine of the Spotless Mind, The Science of Sleep) and RoboCop writer Ed Neumeier also worked on an adaptation that never happened. Kevin Smith wrote a screenplay in 2004 with the intention to film and release it by 2005 with Jake Gyllenhaal and Jet Li as the Hornet and Kato. It would have been ridiculously awesome, but unfortunately it never came to pass. But that’s okay, because I trust Seth Rogen and I’m sure he’ll deliver something fun and exciting. I can’t wait to see who he casts as Kato. According to the Variety article, Rogen will be at San Diego’s Comic-Con International next week to talk about the movie. 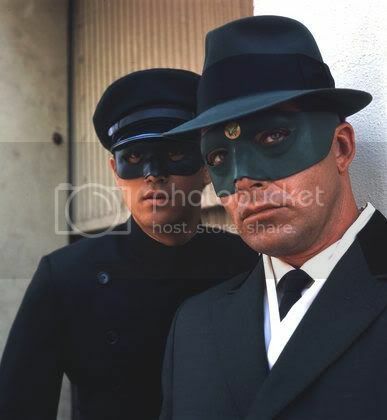 The Green Hornet was created by the same guys who created The Lone Ranger, and they actually set things up so that the Green Hornet is related to the Lone Ranger. The Lone Ranger had a nephew named Dan Reid, who later became Britt Reid’s father. According to The Los Angeles Times, Rogen wants Stephen Chow (Kung Fu Hustle) for Kato.